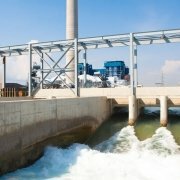 In this expert guide the industrial water specialists at Water Treatment Services take a look at side stream filtration techniques and how they can be used in closed heating and cooling water systems to manage the problems caused by the presence and build-up of suspended solids and sludge inside these systems. What is a closed water system? Let’s start by looking at what a closed system is. A closed heating or cooling water system is one which circulates (or recirculates) the same water around a sealed or closed circuit of pipework. 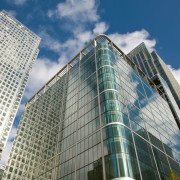 Closed systems are often used for space heating in domestic, industrial and commercial buildings. 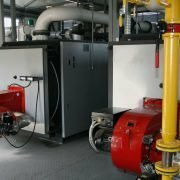 Closed cooling or chilled water systems are typically used in a similar way, but for cooling living and work spaces, and in industrial processes. District heating and cooling systems also use the closed system approach but usually on a much larger scale. What problems affect closed systems? Closed heating and cooling water installations often suffer from a number of problems including the accumulation of both solid particles and sludge inside the system. This is typically caused by corrosion, a build-up of scale and particulates suspended in the feed-water. Engineering swarf and debris left behind from the original construction stages can also add to the problems. If these unwanted solids are not removed they can go on to adversely affect the energy efficiency and reliability of a closed system. They can clog heat exchangers, lead to under deposit corrosion and encourage the growth of bacteria and biofilm (slimes). One of the solutions to controlling these problems is to use side stream filtration, which we’ll discuss in more detail later. 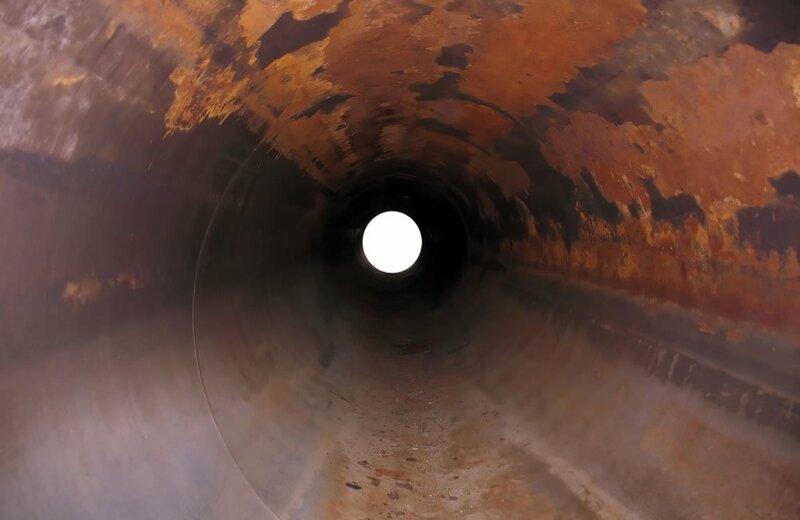 Sludge and suspended solids typically come from the build-up of scale and corrosion by-products from within the system itself, usually from the degradation of internal pipe surfaces and other components. Oxygen dissolved in the water can also be an important contributing factor to the rates of corrosion and volume of solids encountered (dissolved oxygen corrosion). Unfortunately it’s often very difficult to keep oxygen out of a closed system. Even a properly-maintained one will experience air leakage through pipe joints or equalisation valves. Additionally, a small amount of oxygen will be introduced in to the system through the addition of makeup or feed-water. As most pipework and many components are often made from steel, the oxygen in the closed system can lead to the creation of iron oxide particles inside the pipes. What’s the problem with iron oxide? The problem with iron oxide particles is that they, along with other debris trapped inside the closed system, can become very abrasive as they circulate around the system. Iron oxide particles can cause problems with pipework, valves, heating and cooling coils, pumps, pump seals and other components. Some of the system components essential for heat transfer processes can also become compromised, losing their ability to transfer heat effectively. Additionally, if sections of pipework or equipment come into contact with corroded deposits this could cause acceleration of the corrosion process, speeding up the rate of damage to the closed circuit. 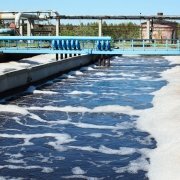 One of the most effective ways to prevent the growth of bacteria and biofilm, and prevent oxygen from corroding the metals inside a closed system is to establish an effective chemical water treatment programme using specially formulated corrosion inhibitors, cleaners and closed system biocides. 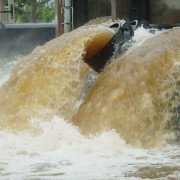 Unfortunately, however efficient a water treatment chemical programme is, it is almost impossible to prevent the build-up of solids without some form of intervention. Therefore, one of the best ways of keeping a closed system clean, free from debris and operating as it should is to incorporate a specialist side stream filter. What is side stream filtration? Side stream filtration uses a specialist piece of equipment that is designed to filter a small volume of water (typically 5-15% of full flow) circulating around a closed system. This means that the total system volume will be filtered 2 – 3 times every 24 hours. Its purpose is to remove or filter out suspended particles from the recirculating water to protect it from further damage. Some side stream filters will also provide easy user access to the system to allow the addition of water treatment chemicals either in liquid or solid chemical form. Side stream filter units for most building services and industrial processes tend to be fairly compact, and can be easily fitted with filters of different grades taking in to account the type and levels of contamination in the system. In most cases, a 30 micron filter will give very good results, although particle analysis is sometimes recommended to ensure the correct filter size is selected. Where are side stream filters used? Many industries use side stream filters in combination with chemical water treatment processes to maintain the performance of closed heating and cooling systems. Chemical suspension agents are typically added to keep the solid particles suspended in the water rather than settling out or adhering to the sides of pipes and other components. This allows the side stream filter to remove the solids from the water as it passes through the filter itself. Side stream filters can also manage known issues involving the build-up of particles in evaporative cooling towers. Having a side stream filter installed in a cooling tower can help to prolong the lifespan of a cooling tower system, maintain heat transfer efficiencies and keep the tower running more efficiently, with less downtime. Large scale side stream filters for cooling towers are often expensive to install, and in some operations such a large capital expense might be hard to justify. However, there are some situations in which installing a side stream filter is the better option than doing nothing, and could avoid further expense at a later date. If any of the following apply, then it’s probably time to start looking into installing a side stream filter. The makeup is drawn from a water source that has been reused or a lake or river, resulting in water which has high levels of iron and suspended solids. Although you’re using biocides to try to deal with bacteria in the system, the water is still not up to the required levels of cleanliness. 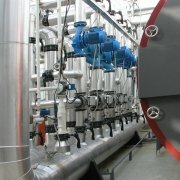 The use of water treatment chemicals is having little effect on heat exchangers, which still look dirty when inspected. You are finding issues with corrosion which you suspect are being caused by fouling. Excess solids are starting to accumulate in the sump. The frequency of mechanical cleaning of the heat exchangers is starting to increase. These are only a few of the issues which could indicate that it’s time to think about whether side stream filtration might be an option to consider. Once you’ve understood the potential problems, it’s easier to quantify the costs involved and work out how long it would take for a side stream filtration installation to pay for itself. This calculation will be determined by the operation’s individual circumstances and will be different in each case. Always make the decision only when you’ve understood the finances completely. Once you’ve bought into the idea of installing a side stream filter for your cooling tower, the next part of the process is to design it. The first step in this process is to work out which particles there are in the system. Particle analysis should be taken into account when planning the design of the side stream filter. In most cases, centrifugal filters are the most appropriate. This type of filter will tackle major problems in the system and doesn’t need much maintenance. Centrifugal filters can usually filter particles with a minimum of 80 micron. If you choose to use an auto-back washable screen, this allows you to customise the system to the size of particles you need to filter out. This type of screen can filter out particles as small as 20 microns. One of the main issues with type of system is that lots of water is required to backwash the screen. Also, the filtered debris tends to stick to the filter screen and then has to be cleaned manually. Bag filters can be labour-intensive as when the bags are full, someone has to go in and change them over. However, the advantage of bag filters is that it’s easy to adjust the level of filtration when needed. Cartridge filters are no cheaper or more expensive than other styles of filters but are often more expensive to run on an ongoing basis. Sand filters – these are the most expensive of all the styles of side stream filter but are also one of the most reliable and effective. What about sand filters and mixed media filters? The type of sand used in a sand filter is of critical importance. The size of the grains must stop solids from passing through, and hold the solids in place so that they can be removed by back washing without clogging up. The best medium is one which will effectively trap 90% of the particles in your system. Sand and anthracite are often used in these filters and often both are used in a mixed media installation. Mixed media filters typically have two or more layers, with the finest sand on the top layer with larger grains beneath. Anthracite is used to support this type of filter. Water Treatment Services offer a comprehensive range of innovative engineering and water management solutions including the design and installation of side stream filtration systems and the on-going maintenance and management of closed heating and cooling installations to optimise performance. Our experts can provide advice and support to help you identify the most appropriate strategies for the treatment and purification of water to meet your needs. With offices in London serving the South and South East England, Manchester (North West), Birmingham (Midlands), Bristol (South East England and Wales), Leeds (North and North East) and Glasgow (Scotland), supported by regional teams of specially trained water treatment engineers and equipment specialists we offer cost effective engineering and environmental support solutions across the whole of the UK and internationally. 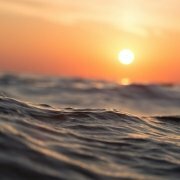 Is Seawater Desalination the Solution to Water Scarcity? Receive exciting features, news, latest research and special offers! Just add your email address and we'll do the rest.